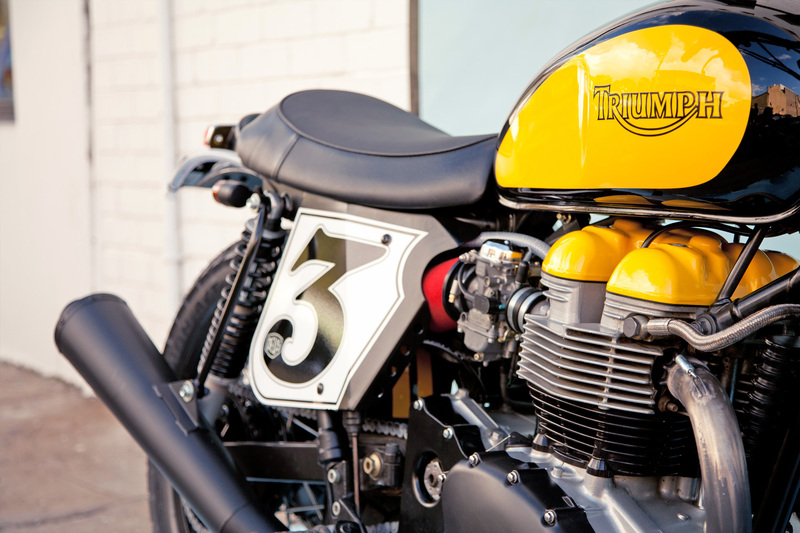 One of our first creations utilising Triumph’s modern parallel twin. 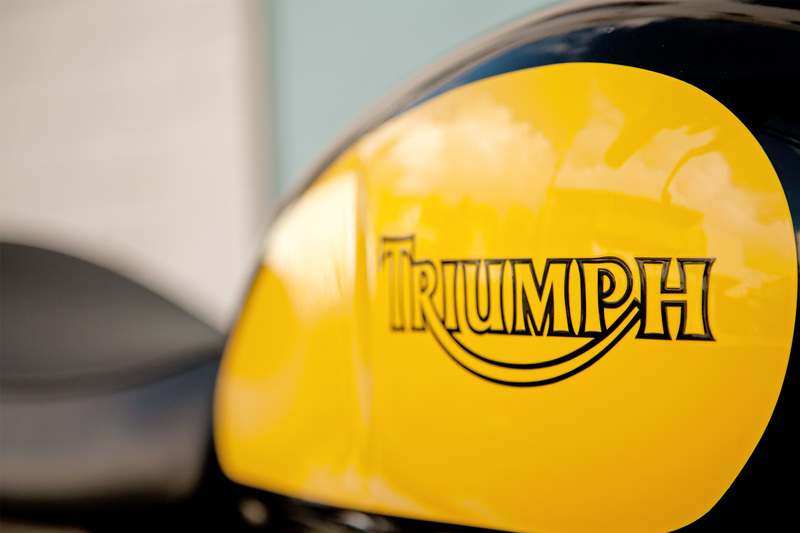 We love Triumphs, there’s no denying. 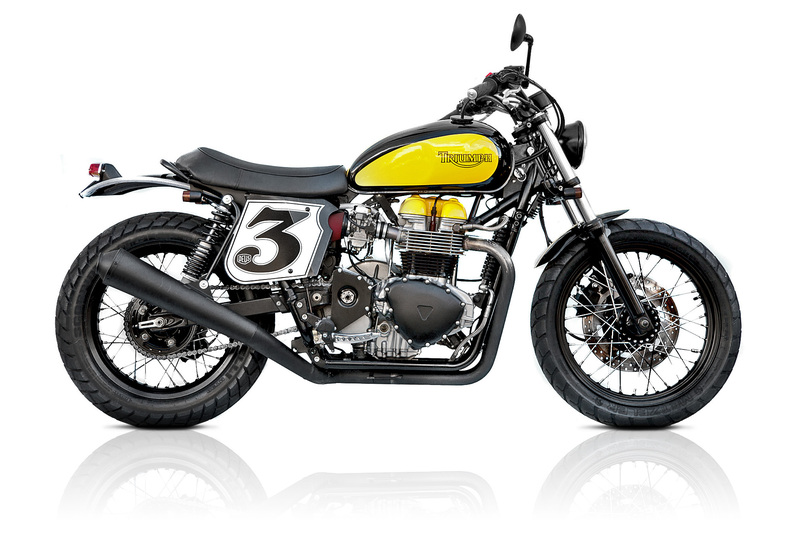 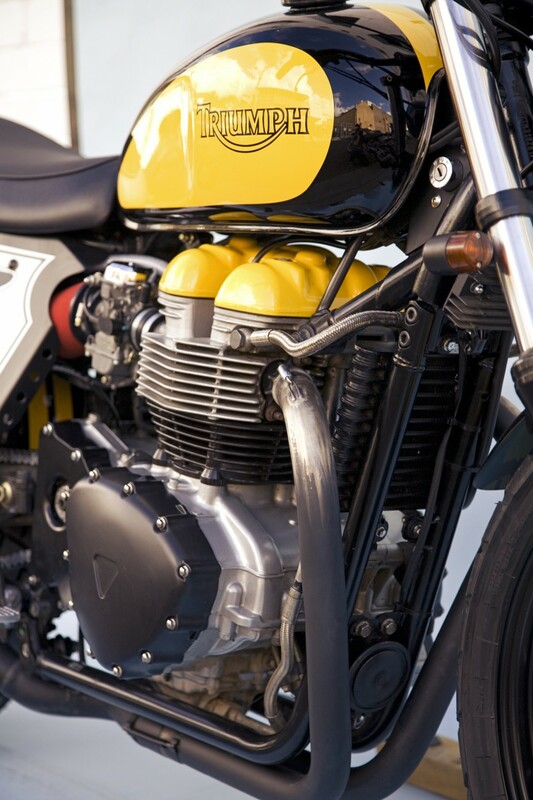 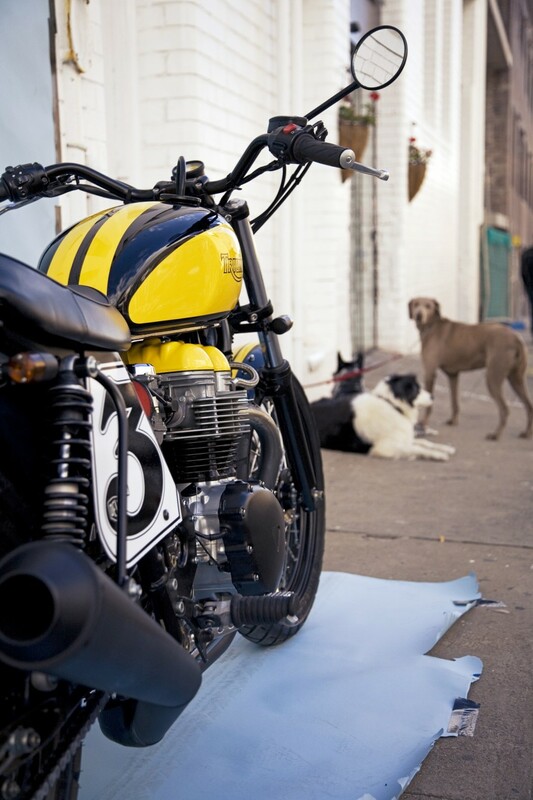 The Bumblebee is a stripped down Bonneville and use of black powdercoat makes an ideal daily rider or weekend get-about. 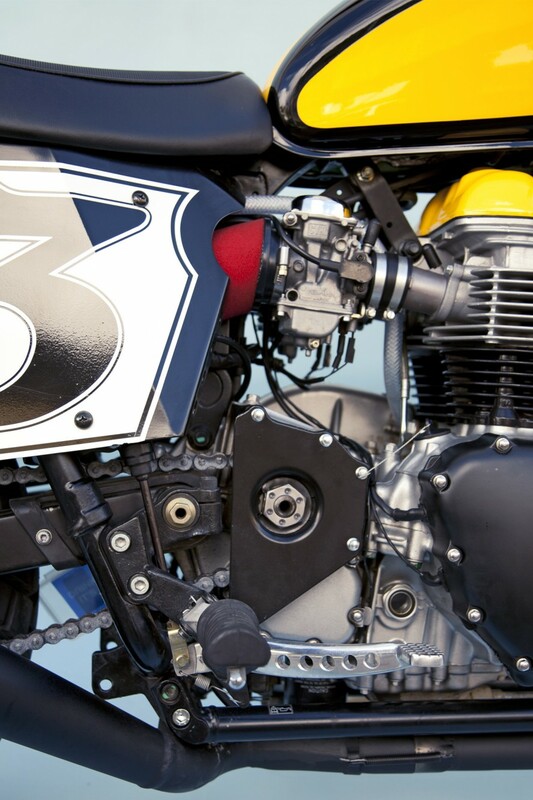 Sub-frame mods, airbox removal & custom 2-into-1 exhaust help provide a dirt track feel, while the Triumph magical twin powers you left, left and left again.